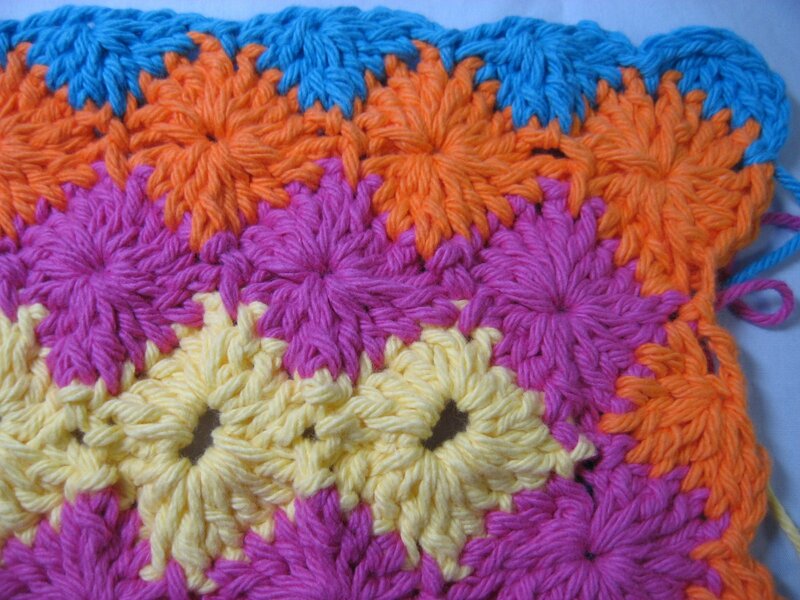 Here's another crochet video for the video library here at Hooked On Needles. 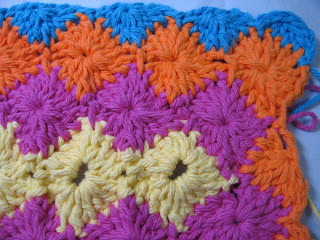 This one is for the Catherine Wheel Blanket pattern that you can find over at the Bernat website. If you haven't signed up at Bernat, you should! It's free and they have loads of wonderful knit and crochet patterns for free too! This is one of them! Click HERE to see the Catherine Wheel Blanket pattern, and while you are there, print one out for yourself if it looks like something you might like to make! Here are a few pictures of the sample I worked up so that I could show you how this pattern looks when it is made. 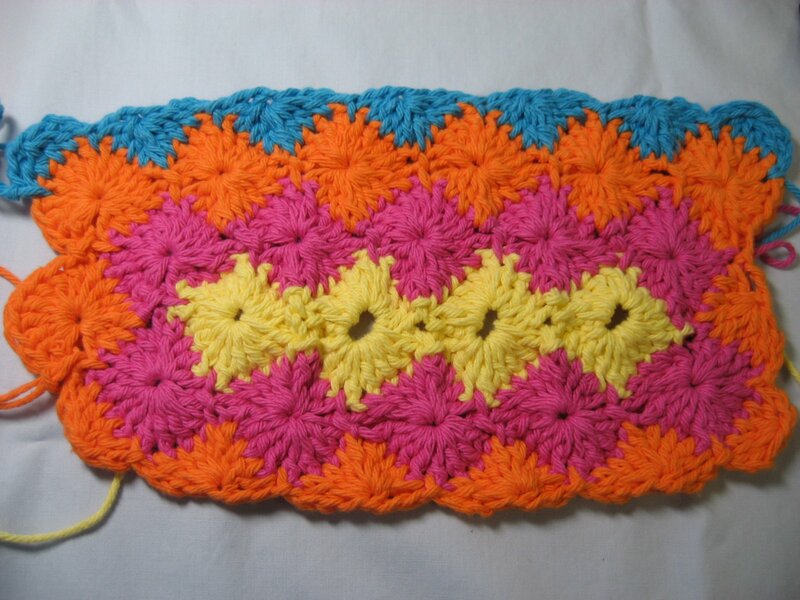 As you can see, it is mostly double crochet. 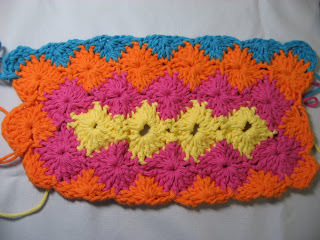 If you need to brush up on your basic crochet stitches before beginning this project, check out my crochet videos HERE. In case you are wondering why this pattern is called Catherine Wheel, it is for the same reason that those fireworks that spin around when you light them are called the same name, because St. Catherine of Alexandria was condemned to death by torture on a wheel in the year 307. Thankfully the Catherine Wheel made with this pattern is not an instrument of torture! So here is the video, for which I must apologize in advance. It is nearly 39 minutes long, and not quite the quality I had hoped for. Because of its size, I had to save it in a lower resolution in order for blogger to upload it. 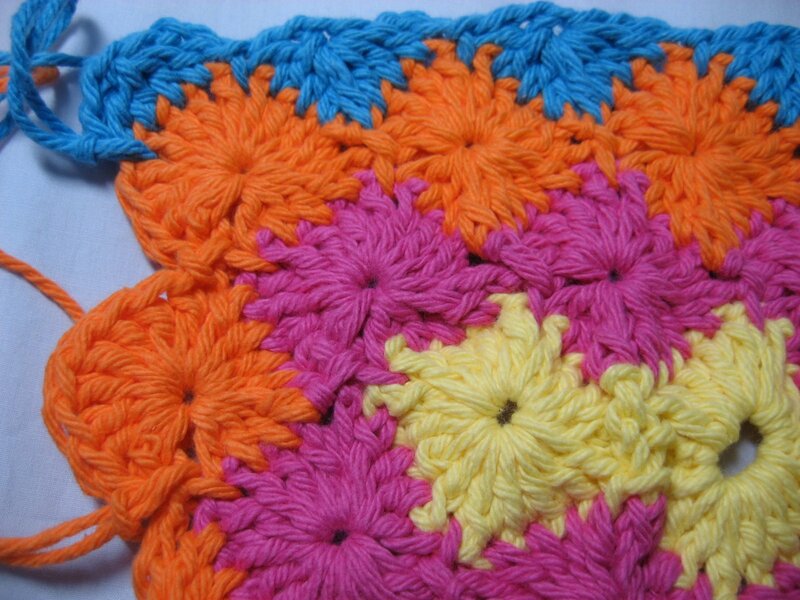 I do hope you will view it anyway and allow me to get you started on this colorful and interesting crochet pattern! NOTE: If this post was sent to you as an email, you need to click through to my website in order to view the video, or you can click HERE to get directly to the post on the website.